The Raleigh was now with me at college for my Junior year. I had a room to myself, but in a house that was shared with 20 or so other guys. The Raleigh could stay in my room at night and during bad weather. I rode my first organized Century (100 miles) and a few Metric Centuries (100 KM or 62 miles) while still in college. My brother Mike came down with a few of his friends and we all tried to ride from Champaign back to S. Chicago Heights at the end of my Junior year. I had flat tire issues again since I was still using the sew ups. One of the other guys also had a flat, but my Presta valve pump did not help with his Schraeder valve tubes. Another member of the group was getting leg cramps. Suffice it to say, we were looking like Columbus when he abandoned the Santa Maria on his first voyage. One of the guys called his girlfriend and I forget who else we called (remember you needed a lot of change for the pay phones). At any rate we abandoned the ride still short more than 40 miles. I spent the next 2 summers at the Jet Propulsion Lab in Pasadena, CA. It looked good on my resume, but I made a lot more money working in the factory back in Chicago Hts. Besides transit buses, my only transportation was my Raleigh that I shipped out in a used bicycle box. My commute to JPL typically took me 45 minutes on the way there and 25 minutes on the way back. It was mostly up hill on the way in and mostly downhill with a nice trip past the Rose Bowl on the way back each day. At the end of one of those summers, my friend Rick Maro and I tried to replicate some of that Northern Illinois ride. I think we started in Champaign and rode 65 miles to Bloomington on day one. On to Lincoln for day two. I remember being caught in the rain in Decatur and somehow making it back to Champaign. I didn’t have any flat tires, but we had to change a flat on his car! 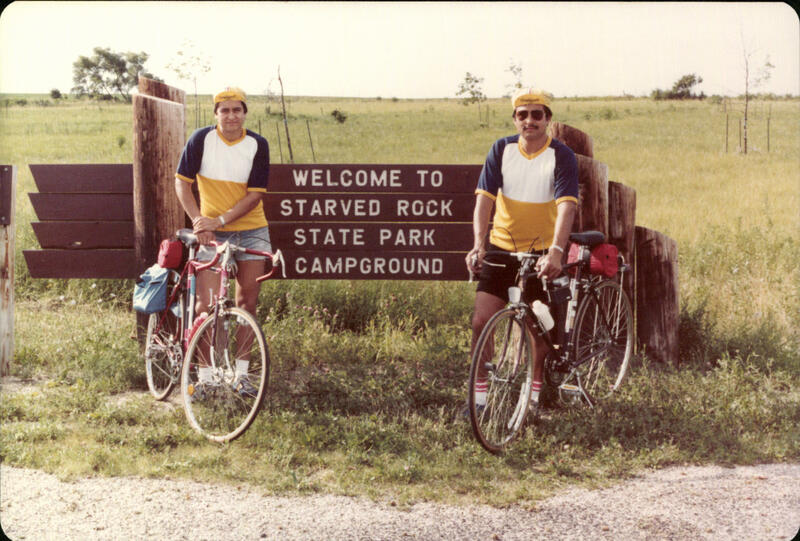 In the next couple of years there some rides from Starved Rock State Park back to Chicago Heights with my brother Mike. 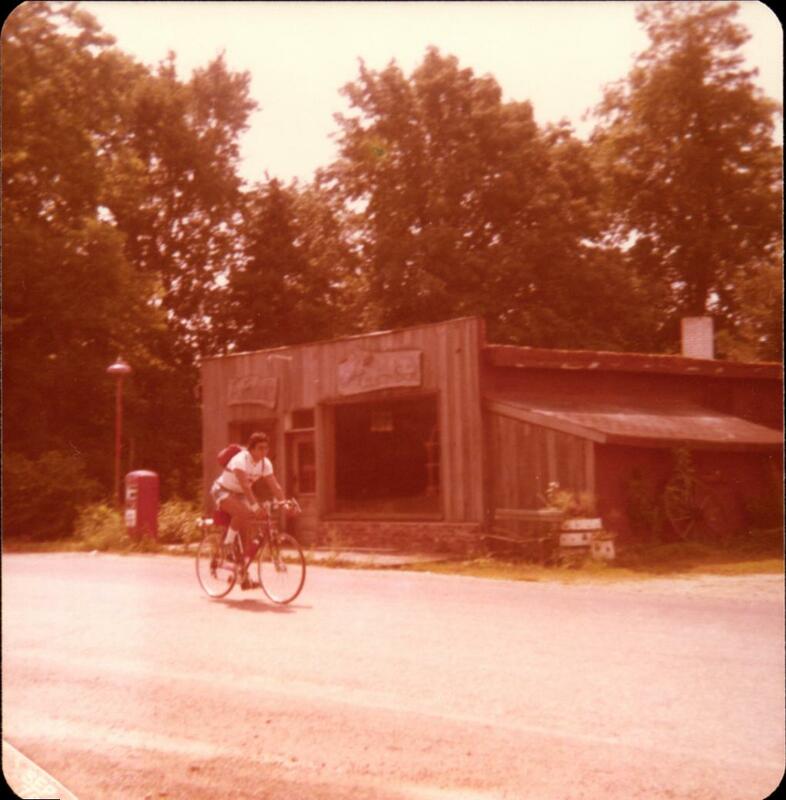 His friend, Dennis Meyer drove us out there and packed the camping gear, so we didn’t have to carry anything but water bottles and repair kits on our bikes. This was the only time I did camping with a bike ride. My normal modus operandi was to pack cash and make hotel reservations!